The Harbour Circle allows you to explore Copenhagen in an entirely new way: By bike round the harbor. 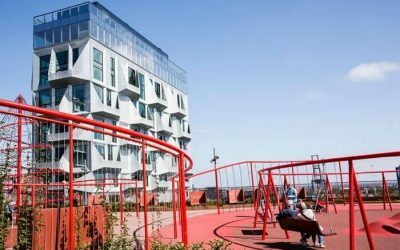 The tour will introduce you to the newest urban districts and explore the future development of areas along the Copenhagen Harbour Circle. 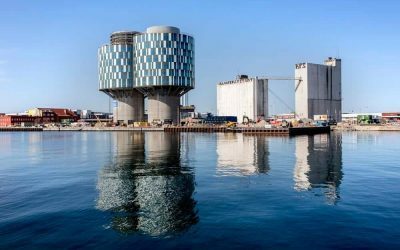 Exactly 10 years ago, Copenhagen opened its first new bridge across the harbor in 50 years. It was Bryggebroen leading from Vesterbro to the island of Amager. As if by magic, the bridge made the city smaller and we all, tourists as well as locals, discovered areas of the city we had not explored before. The Harbor Circle reaps the fruits of years of urban planning round the harbor. And recently, the new Inderhavnsbroen – The Inner Harbor Bridge – allows us to go around the entire harbor by bike. The bike ride begins at Danish Architecture in BLOX, Bryghuspladsen 10, and continues south towards the new and beautiful Circle Bridge. We will continue round the harbor and bike through newly developed areas, green parks, Italian supermarkets, building sites, public trampolines, golden towers and a carpark created for much more than cars. 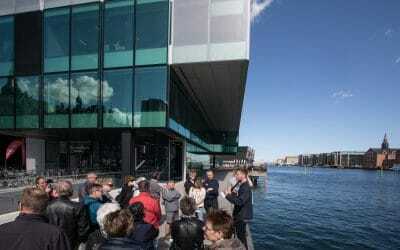 The tour finishes at Danish Architecture Center.